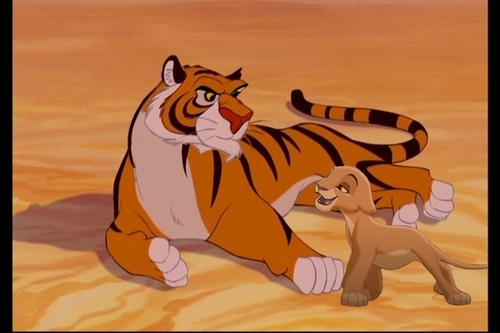 Rajah and Kiara. . HD Wallpaper and background images in the Disney crossover club tagged: disney crossover kiara rajah. I hope he eats her. Rajah is a girl. This is cute.